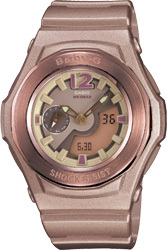 Here are some new color variations for the Baby-G lineup of casual watches for women. 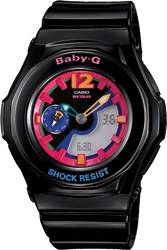 These analog-digital combination watches have two digital display windows that are used to indicate the current mode, the day of the week, and more. The bezels are finished with an ion-plated finish, which makes these models look great no matter where they are worn.